Options Counseling provides information and support to consumers with questions about living in the community or nursing home. The Options Counselor assists with questions and concerns about in-home services and other resources to help live independently in the community. 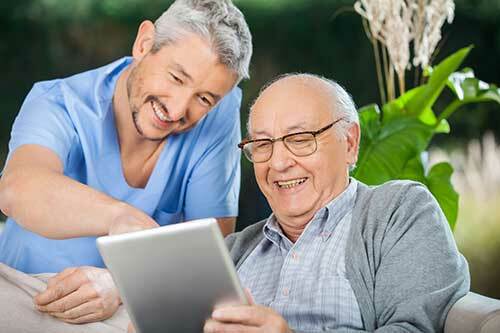 Individuals, regardless of their income or age have the opportunity to receive Options Counseling in their home, nursing home, rehabilitation facility, or hospital. Phone or in-person counseling services in the hospital, the nursing facility or in the home. A discussion about personal goals, functional capacity, informal/formal supports, and financial situation. A discussion to explore all options available including setting, programs, services, funding options, and more. An unbiased approach to services and supports. Written material regarding long term care options. Follow up contact to determine if needs were addressed. Should I consider nursing home, assisted living, supportive housing or other living environment? Does my current insurance cover any services and/or home modification? If not, what funding, loans or donations may be available? Can I privately pay for services and/or home modifications?